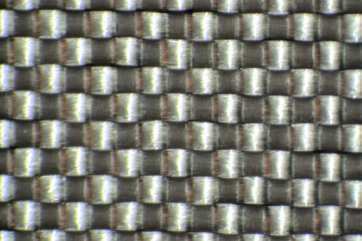 A plain weave fiberglass fabric is where the fill yarn passes over and under one warp yarn and a fill yarn doing the same. 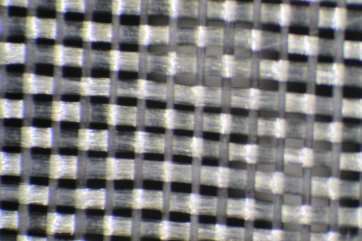 To the right is a microscope shot of style 7500 9.6 oz/sq yd fiberglass cloth. You can see the two G37 yarn twisted together making the one yarn in both the warp and fill. 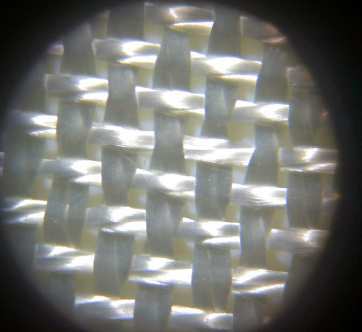 To the right here is a microscopic photograph of the plain weave style 2116 3.12 oz/sq yd that has a thread count of 60 x 58 ends/inch and uses the yarn ECE 225 1/0 warp and fill. We have quite a bit of 2116 38" in stock. 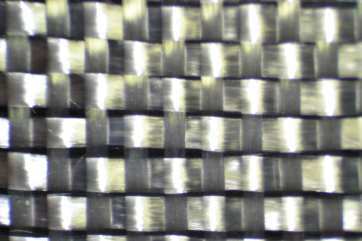 The photo to the right is a photo of the common surfboard fiberglass cloth style 1522 that is 3.63 oz/sq yd 24 x 22 ends/inch thread count. 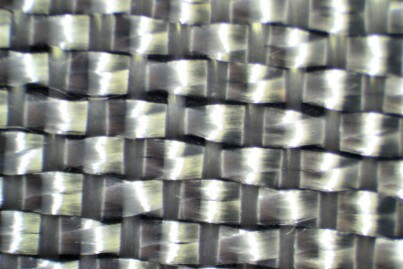 Photo to right is a microscopic view of the "Flat" weave style 3733 that uses the G37 1/0 yarn in the warp and fill. 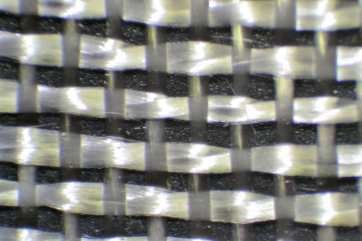 Compare it to the 7533 with the same thread count but having the G75 1/2 yarn where two 1/2 the weight of the G37 yarn are twisted together - The weight of the cloth is essentially the same. Buy 3733 with the Volan finish or with the Silane 627 finish.